Over the years the skills of these individuals have developed and many have now become true artists/artisans. However, many of the creators of these beautiful products -- paintings, jewelry, sculptures, and textiles -- are located in countries and often in remote areas where their work is seen only by locals, a few tourists who venture to these regions, or ex-pats living in the area. These products are often expressions of traditions and customs that are slowly dying out because there is insufficient incentive -- economical or cultural -- to pass these traditions/customs on to the next generation. These products are not only interesting from an anthropological perspective, they are works of art that will stand the test of time and are worthy of a place in the marketplace of beautiful objects. VirtuArte is founded on the premise that these is a market for unique art, folk art, "fine" crafts and curios from the developing world in the US, Europe and other high income countries. These products offer substantial aesthetic benefit for the purchaser that will be attractive elements of the sale, however the fact that the purchase will also contribute to the economic development and well being of the artist/artisan will bring added value and interest. Our Mission is to create an awareness of art, folk art, "fine" crafts and curios from the developing world and promote them to an international clientele, all the while helping artisans from these countries to generate a sustainable income that will support their families, improve the quality of their lives, continue their traditional craftsmanship and pass their skills on to the next generation. It our belief that through the increased awareness of their art and the ability to generate an income, artisans will be encouraged and have the incentive to preserve their traditional weaving, carving, sculpting and painting and share their skills with the next generation. such as art objects and curios, collectively. 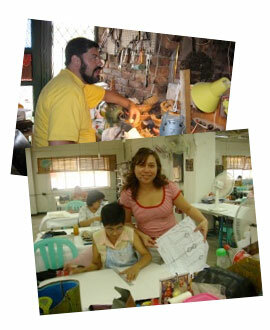 work with artists/co-ops/business vendors who provide or ensure fair prices, fair wages and good working conditions. never "private label" products or ask for exclusivity. It is important to us that the artists/co-ops/business vendors we work with receive the credit for their work and are successful. 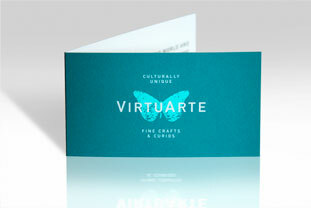 VirtuArte is a "social business." As defined by Muhammad Yunus, winner of the Nobel Peace Prize and the founder of the Grameen Bank, VirtuArte is a "social business." That is, it has two motivations: maximizing profits and doing good for people and the world. Profits will be reinvested back into the company to expand its outreach and increase the number of artists and products promoted. Nonetheless, a percentage of the profits will be given back to the communities of the artists we work with to be invested in projects that will help in the economic development of those communities.